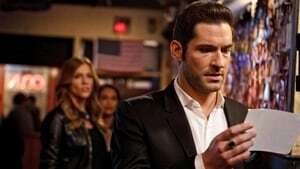 Lucifer is distracted by his mother’s escape from hell, as he and Chloe investigate the murder of a stand-in actress. Meanwhile, Chloe’s faith in Lucifer is tested by the new medical examiner, Ella. Also, Amenadiel hopes to rein in Lucifer’s wild side, as they both deal with the absence of Maze. Lucifer and Chloe investigate a gruesome murder after a video of the crime surfaces on social media. When a second video appears, they realize they have a serial killer on their hands. Meanwhile, Lucifer’s mom returns as Charlotte Richards. Also, Amenadiel, struggling with his loss of power, has an appointment with Linda. Lucifer is excited to investigate the murder of his favorite action movie hero, Wesley Cabot. Longtime rival Rolf Van Zandt initially is a suspect, but the investigation soon shifts. Meanwhile, Uriel shows up and Amenadiel is forced to come clean about his lost powers. Also, Lucifer and Uriel fight about Chloe and their mother. 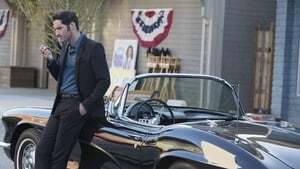 Guilty and self-destructive, Lucifer clashes with Chloe during an investigation, leading her to team up with Dan instead. Meanwhile, Amenadiel bonds with Charlotte, and Maze takes Trixie trick-or-treating. When the prisoner convicted of killing Chloe's father is murdered, new evidence suggests he was actually framed. Meanwhile, Maze tries to find a job and Lucifer shadows Dan in order to learn how to be "normal". Lucifer links Azrael's stolen blade to a string of violent stabbings and enlists Ella's help in locating the sword. 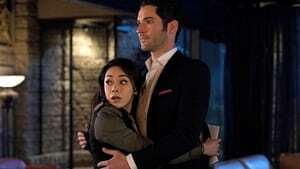 Following the murder of the owner of the building in which Lux is located, Lucifer and Chloe search for the killer, while Lucifer also deals with the fact that the new owner wants to evict him and demolish the place. Lucifer goes to great lengths to protect his home, and is entirely shocked when Chloe is supportive of him. 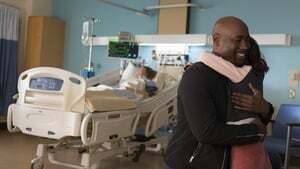 Meanwhile, Maze and Amenadiel follow Charlotte around, as she comes up with a plan to upset Lucifer enough to want to leave earth and go back to Heaven. Charlotte is determined to get Lucifer to leave Earth by turning Chloe against him. Meanwhile, Amenadiel has begun working as Charlotte's soldier, which makes Maze question his loyalty. Lucifer and Chloe investigate the murder of two victims, who happen to be Lucifer’s ex-flames. Lucifer and Chloe investigate a mysterious masked killer who is poisoning college students. Lucifer returns to the city with a new bride in tow, oblivious to the distress his absence has caused. Determined to restore his working relationship with Chloe, he inserts himself into the investigation of the murder of an up-and-coming band's lead singer. When it is discovered that the flaming sword is the only hope for the family returning home safely, the pressure is on for Lucifer to control what he has never been able to control before – his emotions – in order to ignite it. Meanwhile, Chloe wants to air some emotions of her own, but when a therapist and head of admissions at a prestigious private school turns up dead, the team must get to the bottom of it. When a grisly murder takes place at an insane asylum, the prime suspect calls himself God. 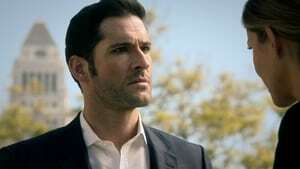 After realizing that this man could actually be his father, Lucifer struggles with his feelings towards him and tries to find the truth, all while trying to discover who the real killer is. When the man who had the final piece of the Flaming Sword is murdered and the piece goes missing, Mom joins Chloe and Lucifer on the case to track down the killer. 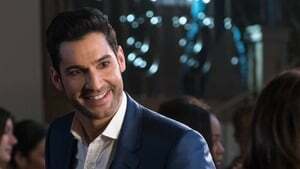 But when Lucifer gets sidelined, Maze recruits him to help save Dr. Linda's endangered career and confronts him about the secrets he's been keeping. After Charlotte accidentally charbroils a man to death in self-defense, Lucifer must try and keep Chloe from figuring out the truth. 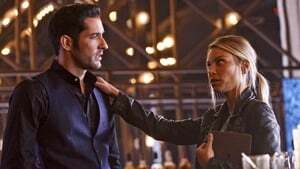 Lucifer puts Maze in charge of finding Charlotte and Amenadiel, who have both gone missing in light of recent circumstances, while he finds a permanent solution for the ticking-time-bomb he calls Mom.